Atlanta, August 7, 2017 – Results of the new “Facts of Lice” online survey of 1,000 millennial moms (ages 18-35) and 350 pediatric health care providers released today suggest that some millennial moms may be receiving mixed messages about managing head lice. Ninety-five percent of health care providers (HCPs) surveyed said over-the-counter (OTC) treatments did not effectively eliminate head lice infestations. 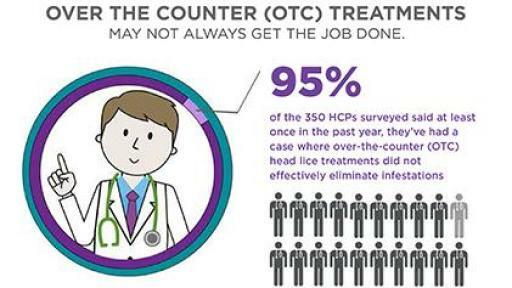 Still, the majority (51 percent) of HCPs continue to recommend OTC treatments as a first-line option for their patients.1 The survey was conducted by ORC International on behalf of Arbor Pharmaceuticals. 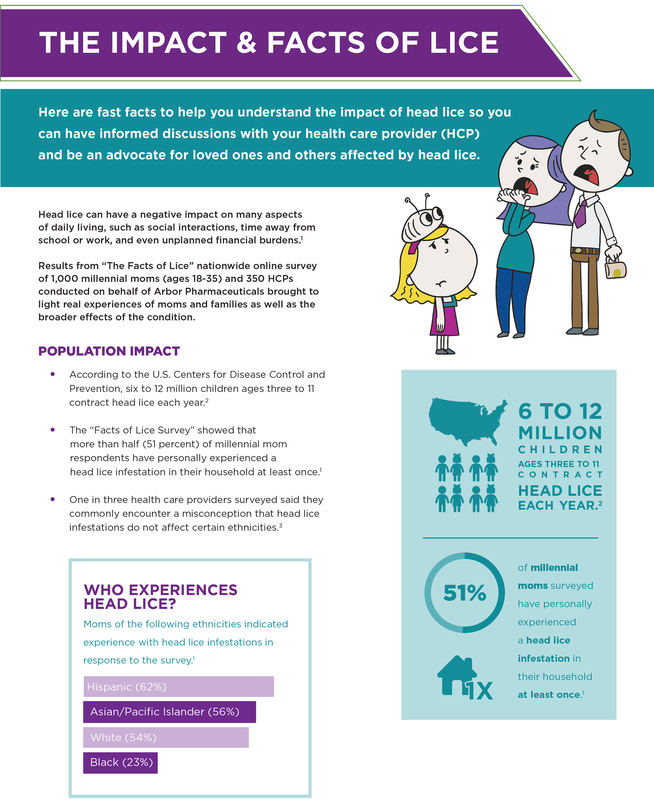 The Facts of Lice survey findings highlight the need for effective conversations between parents and HCPs about head lice management. 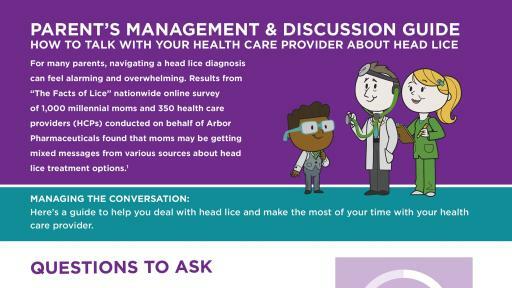 To address these findings, Arbor Pharmaceuticals has developed educational resources to ensure moms are armed with tools to encourage conversations with their child’s doctor and help inform their understanding of how to get a head lice infestation under control. Resources are available at Sklice.com. Head lice are spread by direct contact with the hair of an infested person,3 and are most common in children who come into close contact with others who are experiencing a head lice infestation.4 The U.S. Centers for Disease Control (CDC) estimates six to 12 million infestations occur annually in children ages three to 11 years old in the U.S.4 Misdiagnosis of head lice is common.6 Parents should consult a health care provider at the first sign of head lice to confirm a diagnosis and discuss treatment options. 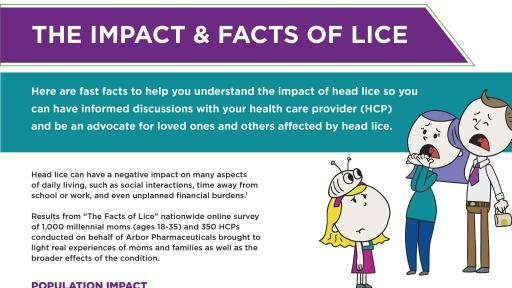 The Facts of Lice survey was conducted by ORC International on behalf of Arbor Pharmaceuticals between March 28 – April 10, 2017. Results of the survey were drawn from a representative sample of 1,000 U.S. millennial moms ages 18-35, and 350 U.S. health care providers (HCPs), including pediatricians, pediatric nurse practitioners and pediatric nurses. Respondents were members of an online panel that agreed to participate in online surveys and polls. Sklice (ivermectin) Lotion, 0.5% is an FDA-approved topical treatment indicated for head lice infestations in patients six months of age and older.7 Sklice Lotion is a one-tube, 10-minute treatment that does not require nit combing.7 The active ingredient in Sklice Lotion is ivermectin, which works by binding to the invertebrate muscle and nerve cells of parasites, causing paralysis and killing the lice and nymphs.7 Sklice Lotion was FDA-approved on February 7, 2012, and is the only FDA-approved head lice treatment with the active ingredient ivermectin. Sklice Lotion is the leading prescription head lice treatment in the U.S., with more than 980,000 prescriptions filled to date.8,9 Sklice Lotion is marketed and distributed by Arbor Pharmaceuticals and is available nationwide. In order to prevent accidental ingestion, Sklice Lotion should only be administered to pediatric patients under the direct supervision of an adult. The most common adverse reactions (incidence <1%) include conjunctivitis, ocular hyperemia, eye irritation, dandruff, dry skin, and skin burning sensation. For full Prescribing Information visit www.Sklice.com/pdfs/sklice-pi.pdf. Arbor Pharmaceuticals, headquartered in Atlanta, Georgia, is a specialty pharmaceutical company currently focused on the cardiovascular, hospital and pediatric markets. The company has over 750 employees including 625 sales professionals promoting its products to physicians, hospitals, and pharmacists. Arbor currently markets 22 NDA or ANDA approved products with over 40 more in development. For more information regarding Arbor Pharmaceuticals or any of its products, visit www.arborpharma.com or send email inquiries to info@arborpharma.com. 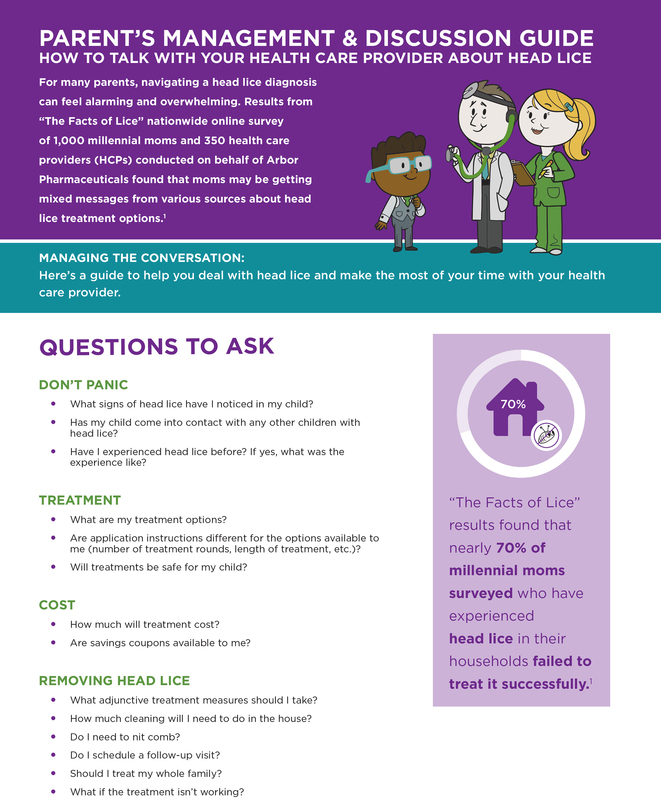 Facts of Lice Survey: Pediatricians and Nurses. ORC International; 2017. Facts of Lice Survey: Millennial Moms. ORC International; 2017. Centers for Disease Control and Prevention (CDC). Head lice. Frequently Asked Questions (FAQs). Last updated September 1, 2015. Accessed June 2017. Centers for Disease Control and Prevention (CDC). Head lice. Epidemiology & Risk Factors. Last updated September 24, 2013. Accessed June 2017. Centers for Disease Control and Prevention (CDC). Head lice. Disease. Last updated September 24, 2013. Accessed June 2017. Centers for Disease Control and Prevention (CDC). Head lice. Diagnosis. Last updated September 24, 2013. Accessed June 2017. Sklice Lotion Prescribing Information. Arbor Pharmaceuticals. Data on file. Arbor Pharmaceuticals, LLC. IMS Health Rapid Weekly Data, [June 30, 2017].